After months of analyzing test data, improving simulation code to better reflect what’s happening in the real engine and some design improvements, The ultimate performance of the Clarke-Brayton engine keeps getting clearer – and for the first time we can confirm that it can do all of this while meeting stringent NOx emissions standards using conventional aftertreatment systems. Above is a comparison of a Clarke-Brayton Engine in a V6 configuration on the left putting out 359 horsepower compared to a 325 horsepower Cummins 6.7L I6 – both engines are compared at the same mean piston speed. 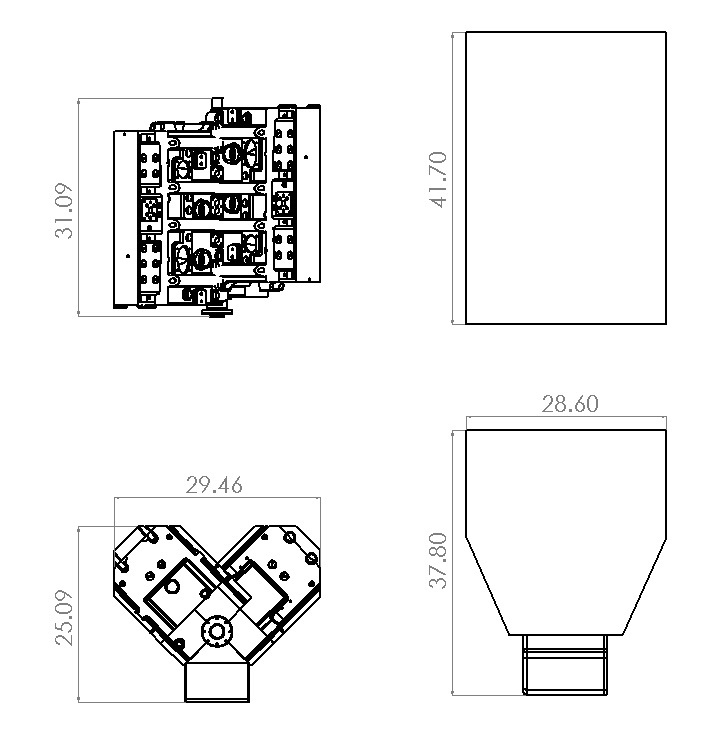 In addition to the clear advantage we have in size and weight, the reduced amount of material will also reduce cost. Further, the Clarke-Brayton Engine is naturally aspirated so the expense of turbos and aftercoolers are eliminated and only 1/3 the number of fuel injectors are required leading to considerable cost benefits. A naturally aspirated engine has dramatically improved transient response, meaning when you depress the accelerator, the engine responds with more power and speed immediately, eliminating the so-called “turbo lag” suffered by virtually all conventional diesels. 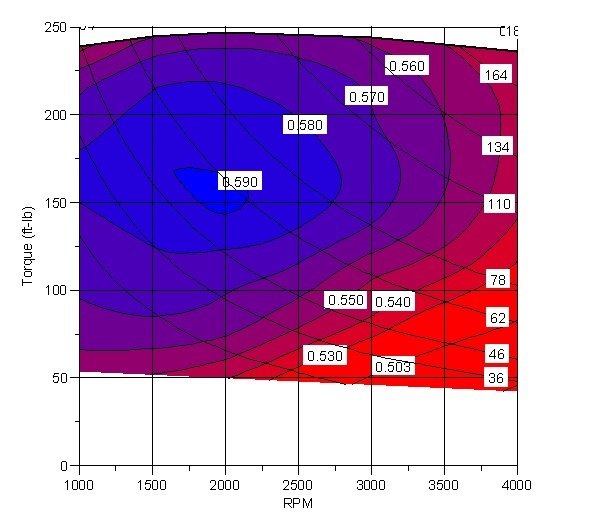 The engine also shows a remarkably flat torque curve and extremely efficient operation at all conditions, as shown in the indicated thermal efficiency map below. Peak indicated thermal efficiency is 59% (for you engine nerds out there, this includes gas exchange/pumping losses). More impressive is that efficiency remains well above 53% even in low-load, low speed conditions where vehicles spend most of their time operating. Our friction model predicts peak brake thermal efficiency at near 55%, compared to 42% for today’s best automotive diesels. This engine promises to have great benefit to a number of applications including heavy-duty and medium-duty trucking, automotive, marine and power generation. It’s ability to use natural gas as a compression-ignition fuel – the subject of a future post – further increases its attractiveness in a number of segments. We’ve been talking to a number of interested potential strategic partners and are excited about finding the perfect relationship to help propel this technology to market.